Summer vacation has officially started. The boys got out of school last week and our crazy nightly sports schedule came to a very sudden and screeching halt. We all woke up on Saturday with no particular place to be, no frantic dash to the laundry room for clean uniforms (usually to zero success), and no reason to pick up a pizza to eat in the back of the car between games and practices. Summer is starting off on the couch for us here at C&G HQ, thanks to World Cup fever which started Thursday night with the kickoff in Brazil. Little C&G is tracking every team's progress and we're watching as many games as we can to see who will make it to the next round. Today was the first of many big ones, with Germany and six players from Little C&Gs beloved FC Bayern Munich up against the golden boy Christiano Ronaldo and his Portugal team. There was no contest, Ronaldo's amazing abs were useless against the German squad and for once he didn't bother taking his shirt off. In between games today Little C&G and I took advantage of the beautiful Mackworth Island Trail just a short drive outside of Portland. It's an easy 1.25 mile loop with spectacular views and a favorite of local families. The trail is mostly flat with a few steep sets of stairs down to the water where you can search for sea glass and shells. Benches line the trail and offer perfect spots to take in the view with an Oreo or two (Little C&Gs preferred hiking snack). I reminded Little C&G to not eat too many of his provisions, he packed enough snacks to last us a few days should we get stranded on the "island". 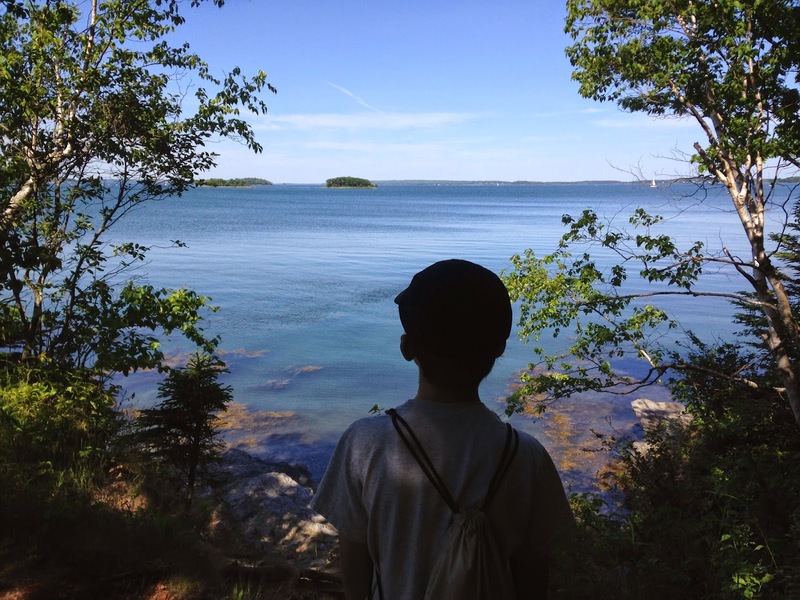 Mackworth Island is connected by a short bridge to the mainland and is just a few minutes drive from the best ice cream served in a gas station (not as weird as it sounds, I promise!). Drive north along Route 1 to Waldo's Gas Station and you'll find Super Scoops serving up a long list of fun flavors like moose tracks and Maine blueberry. 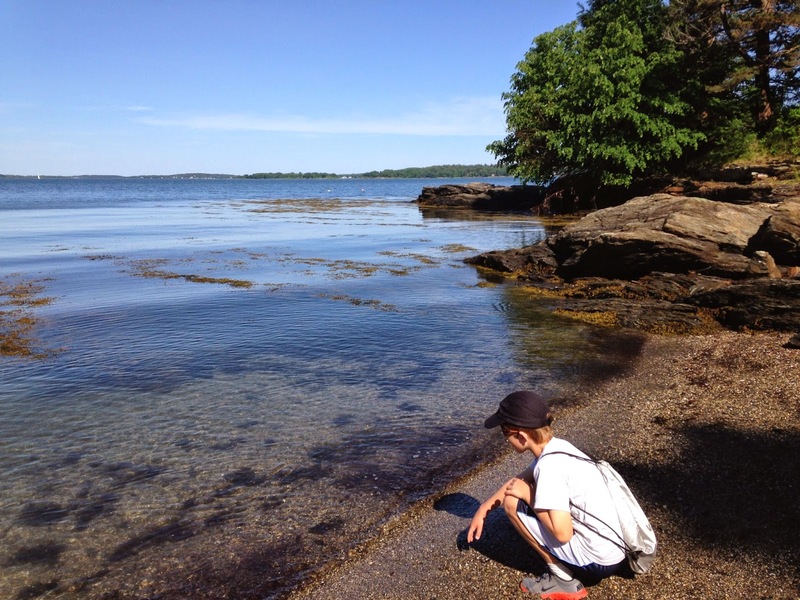 It's a popular spot all season long and if you're visiting Portland you might not know about our two local favorites, Mackworth Island and Super Scoops. Add them to your list and if there isn't a game on we'll venture out for some fresh air, a quick sugar boost, and to say hi.